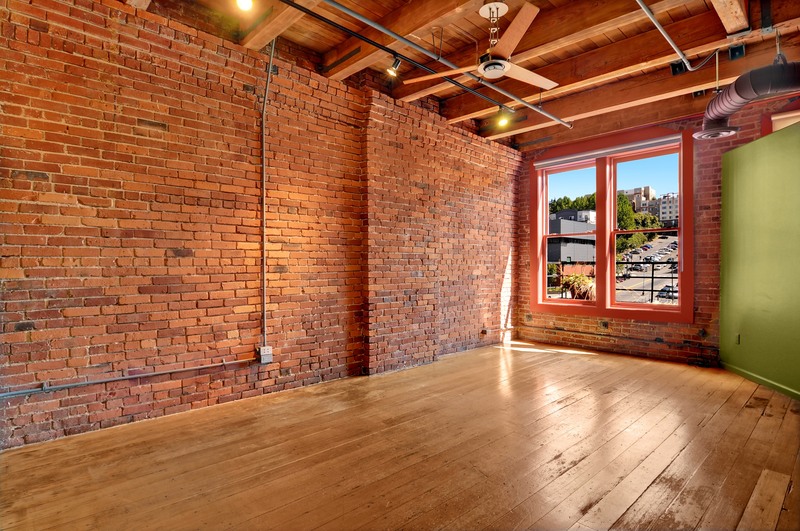 A stunning 2,624sf penthouse loft in Downtown Seattle. A dramatic space for living, working & designing. 4 skylights illuminate this architectural masterpiece. Wood beamed ceilings, exposed brick, hvac & massive windows. Beautiful hardwood floors, vaulted ceilings & incredible detail including enormous wheels & pulleys in the ceiling as a reminder of the buildings turn of the century past. 2 deeded parking spaces, gas appliances & phenomenal location. Live Urban in this stunning Downtown loft.